Back in September I attended a social gathering and met some really amazing women. I was asked if I would be opened to hosting a gathering at my house to watch the bachelor and of course I said yes. When Monday came and I realized it was time for the show, I also realized I needed a great appetizer to go with the show and knew exactly what to make. 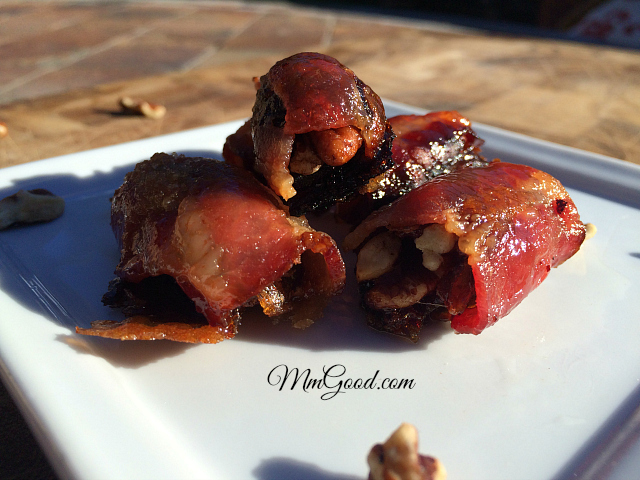 This recipe for dates wrapped in bacon was introduced to me by my friend Susan, she and I taught some cooking classes back in October and she made this dish as an appetizer and I was sold! If you are on a budget, stuff the dates with walnuts, if you can splurge a little use pecans and if you want to go all out try blue cheese. 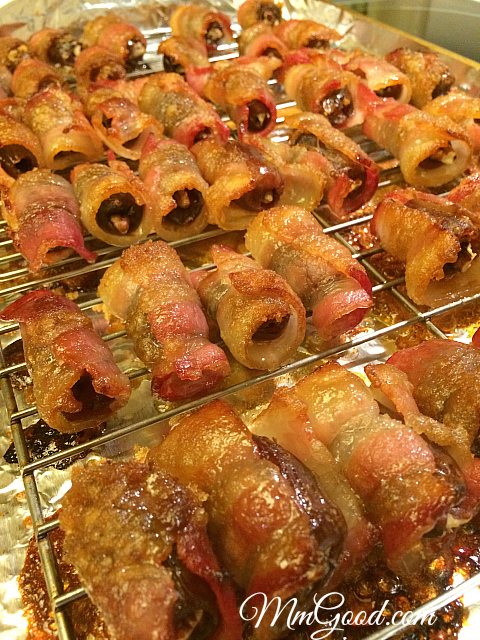 For my party I used pecans because I already had them in my house and I didn’t want to go out and buy walnuts. 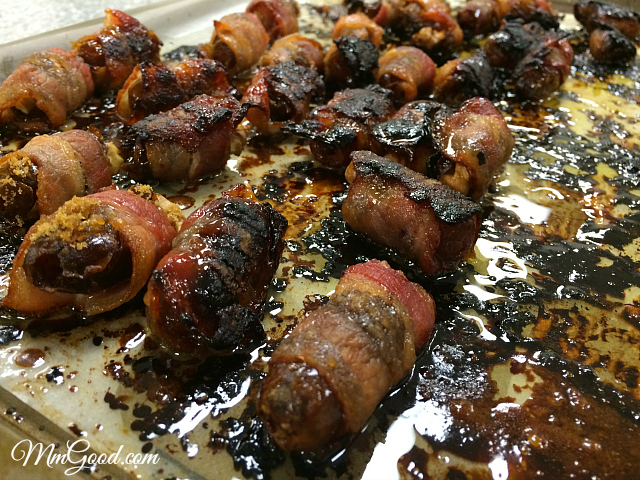 if you don’t put the dates wrapped in bacon on a rack, they will cook in the oil and be super greasy as you can see from my first go around and even though I over cooked them, they were still amazing! 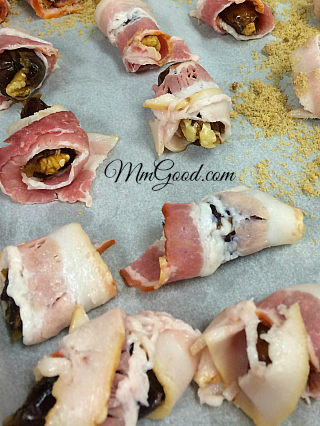 Everyone loved this appetizer, let’s face it, who wouldn’t…you get the sweetness from the dates, a secret surprise middle and the salty bacon on the exterior…hello yummy! 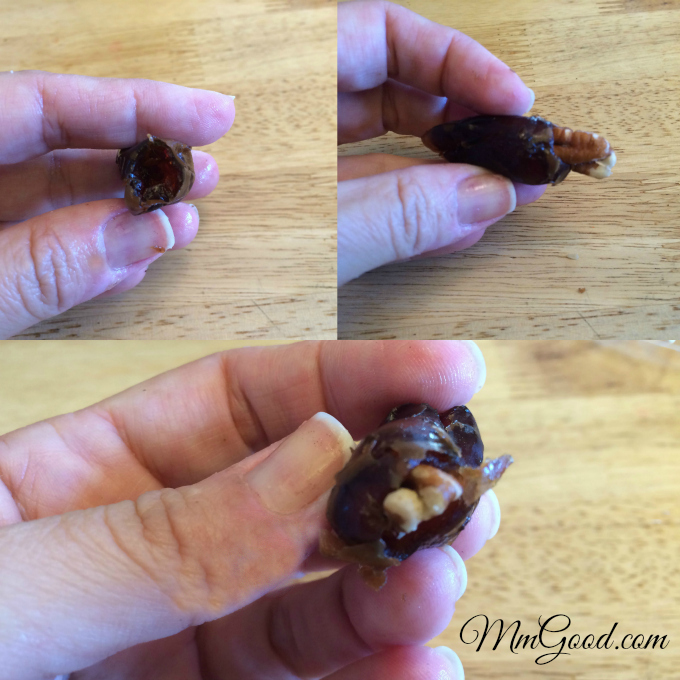 In each date, put a piece of pecan in the date, this is very messy and sticky so you can wear gloves if needed. Wrap a piece of bacon around the date and place on your rack. 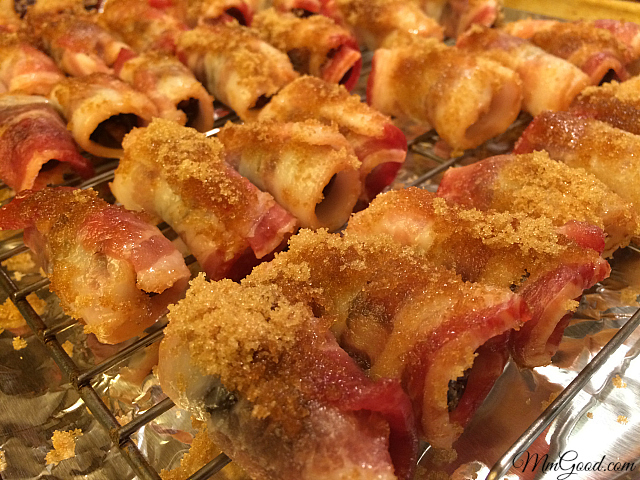 Sprinkle brown sugar over the dates and bake for 20-25 minutes or until done.